← What’s your Favourite Rice Cake Topping? What is Gluten? Gluten is a protein found in some grains, such as wheat and rye, with the most common product being bread. It is a protein that is completely indigestible and very damaging to the body’s digestive system. So what would be some other healthier and clean alternatives to all of these? 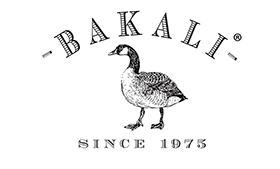 Bakali Corn Cakes and Rice Cakes are a great start, with being naturally free from Gluten – which compliments other health benefits such as being: high in fibre, low in sodium and saturated fat, GMO free, and free from all preservatives and contains no allergens. It is especially helpful to individuals who may suffer from Celiac disease, a disease that prevents one from digesting gluten, along with other health issues one may suffer such as high cholesterol, and Gluten sensitivity and an allergy to Wheat. Here are some ways Gluten-Free Snacks can benefit to your overall health. – Reduces sugar levels by almost 40%. – Help your digestive system. With over 30% of people being diagnosed with Gluten Intolerance each year, Gluten-Free snacks and foods are there to help. Choosing the healthier alternative such as Bakali Rice cakes can not only benefit you and your health but your overall well being included. We all want to indulge in pizza, pasta and bread without giving it a second thought with regards to what it does to our health. Trading out all the heavy Gluten based foods can only benefit you. Choose healthier alternatives such as Bakali Rice Cakes and corn cakes. With a wide range of Flavoured and Coated Rice cakes and corn cakes you’ll never look back. Why Rice cakes and corn cakes? Rice cakes come in a variety of blends, including plain rye, corn and sesame seed. One rice cake contains less than 1 gram of total fat, almost none of it being saturated fat. Including rice cakes and corn cakes in your healthy eating plan is a low-fat and healthy way to fill yourself up without the added calories. One rice cake supplies iron, a mineral necessary so your body can produce red blood cell. The grains used to make rice cakes add a small amount of fibre to the food. When you get plenty of fibre in your diet, you are less likely to experience digestive problems and constipation. Plenty of fibre is also associated with a lower risk of developing diabetes or cardiovascular disease. Gluten also lurks in many other products including frozen vegetables in sauces, soy sauce, some foods made from ‘natural flavouring’ and vitamin and mineral supplements. Corn Cakes are much like Rice cakes but have a more rustic and crunchier surface and offer similar nutritional factors as rice cakes such as: fibre, protein, vitamin B6, and is a good source of antioxidant carotenoids. Bakali Rice cakes also offer a wide range of flavoured corn cakes for a healthier snacking experience.